Rack Accessories There are 22 products. Axe Bracket Mk2 The lockable stainless steel cage keeps your axe head safe and out of the way when mounted to the side of the Front Runner Slimline II Roof Rack. 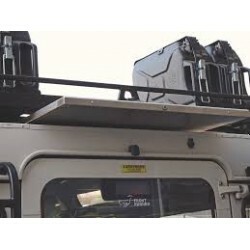 Super simple installation – just slide the bolts and brackets into the side rail of the Slimline II Roof Rack Tray and tighten. Bottle Opener (Tray) MKII ​The name says it all. Turn your entire vehicle into a handy way to open your beers. 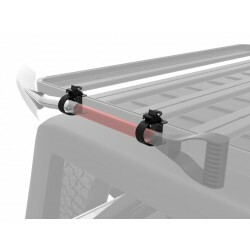 Cargo Roller ​Easily transfer large, heavy and/or long supplies and gear up onto your Front Runner roof rack. 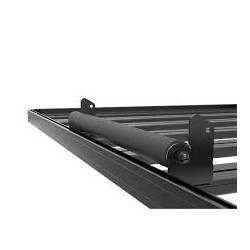 The Front Runner Cargo Roller can be quickly mounted to the side or the rear of your Slimline II Roof Rack. Kayak Holder Front Runner’s Pro Canoe and Kayak Carrier is built for off-road adventure and features variable width adjustment, variable angle brace adjustment, padded hull protection and universal small boat compatibility. Complete kit. Includes everything necessary to secure small boats or water toys to Front Runner Roof Racks or Load Bars. Made of 3CR12 stainless steel and sealed with the same durable, weather resistant black powder coating as the Front Runner racks. 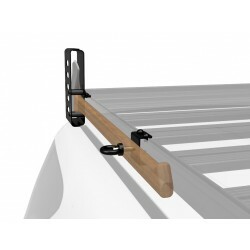 Movable Arm for Easy-Out Awnings ​An awning arm that is fitted to a Front Runner Slimline II roof rack that allows you to move your awning with the sun providing the maximum amount of shade at all times during the day. 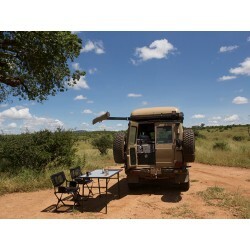 The awning can be positioned and opened at any angle between the side and the rear of the vehicle and secured using supplied guy-lines. 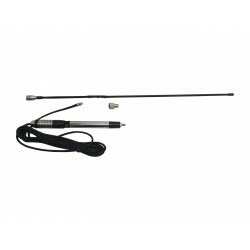 This antenna configuration is by far the most popular on the Australian market. Roof Rack Bicycle Carrier Fork Mount Mk2 Lock your bicycle's fork and back tyre to the Front Runner Slimline II roof rack with this sturdy, adjustable bicycle mount. Spade Bracket Ratchet Type The ratcheting straps adjust to fit various circumferences and lock tight for rattle free, rock solid transportation. 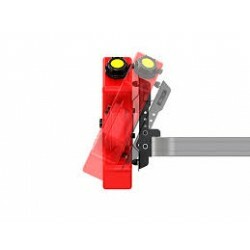 Ratcheting rubber straps allow the spade/shovel to be removed and secured quickly. 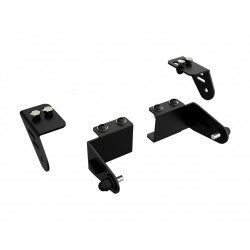 These brackets install along the the Slimline II Roof Rack Tray side rails in minutes. No drilling required. 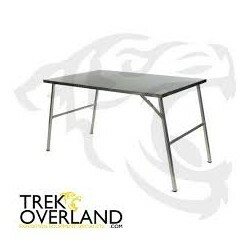 STAINLESS STEEL CAMP TABLE This lightweight and sturdy stainless steel table features aluminum locking legs and is full sized for eating, food prep and serving. Can be stored UNDERNEATH most full sized Front Runner Slimline II Roof Racks. Stainless Steel Prep Table Kit ​This lightweight, sturdy prep-sized stainless steel camp table is ideal for gathering around to eat. 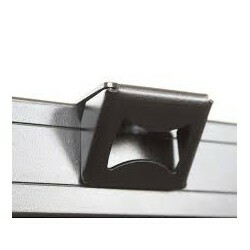 Specifically designed to be easily stored UNDERNEATH most Front Runner Slimline II Roof Racks. *The Stainless Steel Prep Table Kit includes the Stainless Steel Prep Table, Under-Rack Table Slides and Under-Rack Table Latch.